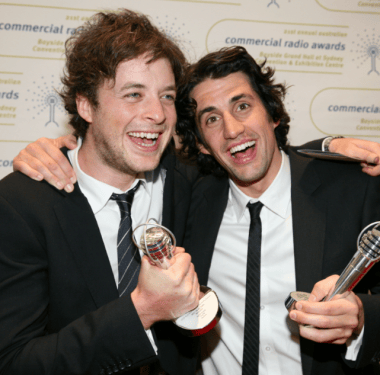 Hamish and Andy radio salary set to increase. Again. Hamish and Andy are getting paid HOW MUCH? Hamish and Andy’s gap year is over as they return to drive time radio. But their return to radio has been made a little (a lot) sweeter by the prospect of a very hefty pay packet. 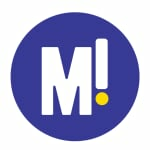 News.com.au is reporting today that Hamish and Andy will each receive an annual salary of $4M for taking back drive time on 2DayFM, making them the highest paid FM radio personalities in the country. Southern Cross Austereo (who owns 2DayFM) has taken a hit in their ratings and their share price (apparently the company value dropped $500M) this year as a result of the departure of radio juggernauts Kyle and Jackie O. Interestingly, Kyle and Jackie O apparently left their high rating 2DayFM breakfast show because Southern Cross Austereo refused to meet their demand for annual salaries of $2M each. In light of the revelations of Hamish and Andy’s pay day, Kyle and Jackie O might be feeling a little miffed…but for the fact that their new station, KiiS, and network, ARN, have soared to success in the Sydney radio market. Souther Cross Austereo have recently undertaken a shake up of their breakfast team too, recently announcing plans to ditch Sophie Monk, Merrick Watts and Jules Lund in favour of Dan Debuf and Maz Compton. In the meantime, Hamish and Andy should buy themselves an umbrella because with all this cash in their pockets, they are about to Make. It. Rain.